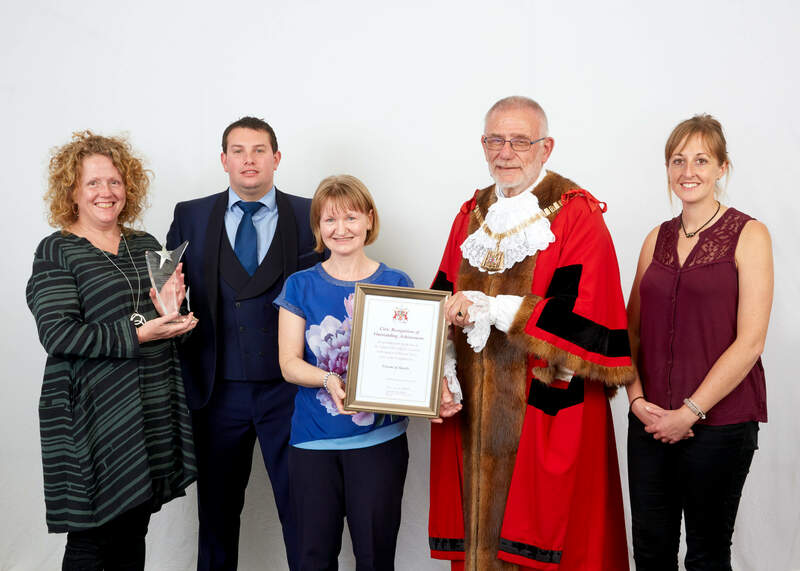 "Looking after Bexley's little river"
In April 2018 the Friends of the Shuttle were thrilled to receive the Civic Recognition of Outstanding Achievement Award from the Mayor of Bexley 'in Recognition of Devoted Service given to the Community'. In the summer of 2018 the Friends of the Shuttle gardening group secured some well-deserved recognition when they won three awards for their hard work in the Old English Garden. For the third year running they entered the Royal Horticultural Society’s ‘It’s Your Neighbourhood’ competition. The long dry summer meant that they had to set up a daily watering rota to keep the new plants alive, as well as fitting in some extra gardening sessions and they were rewarded for their labours with a Level 4 'Thriving' Award plus a special discretionary award of Community Garden of the Year 2018 reflecting on the group's extra work. 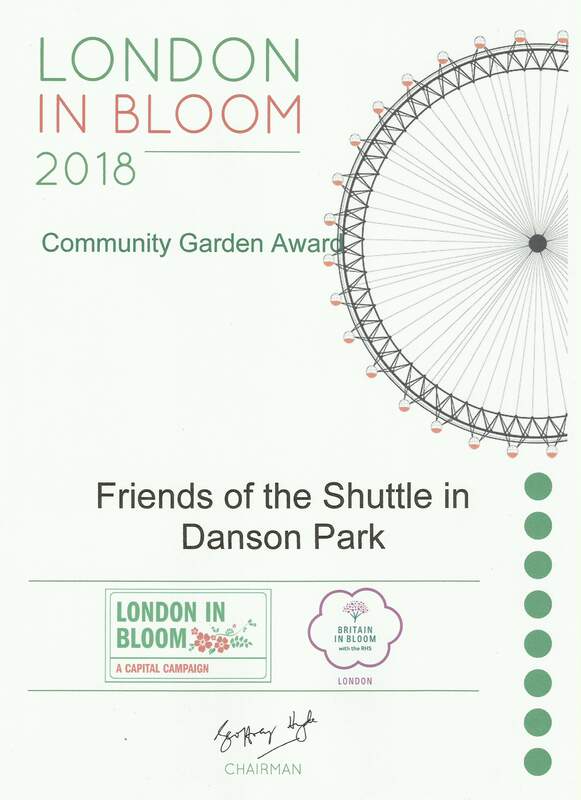 at the 2018 London in Bloom awards in September. 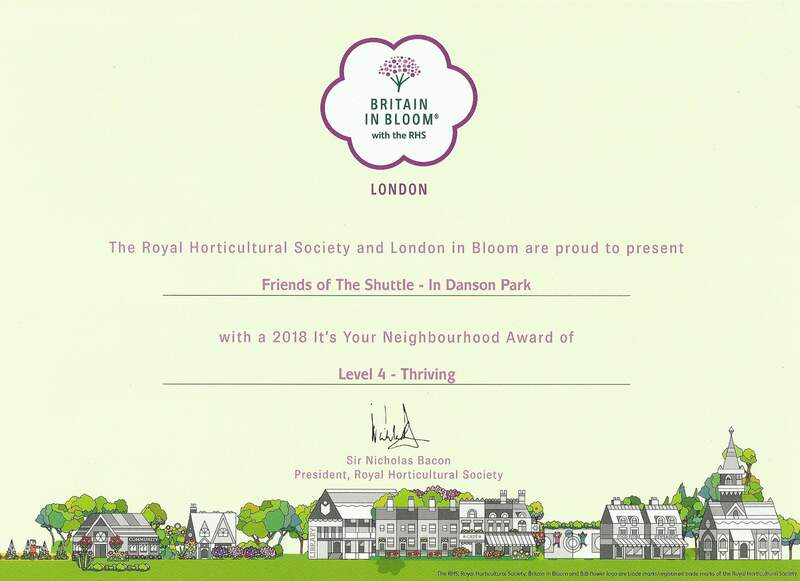 n addition they unexpectedly received the London in Bloom Community Garden of the Year 2018 award. 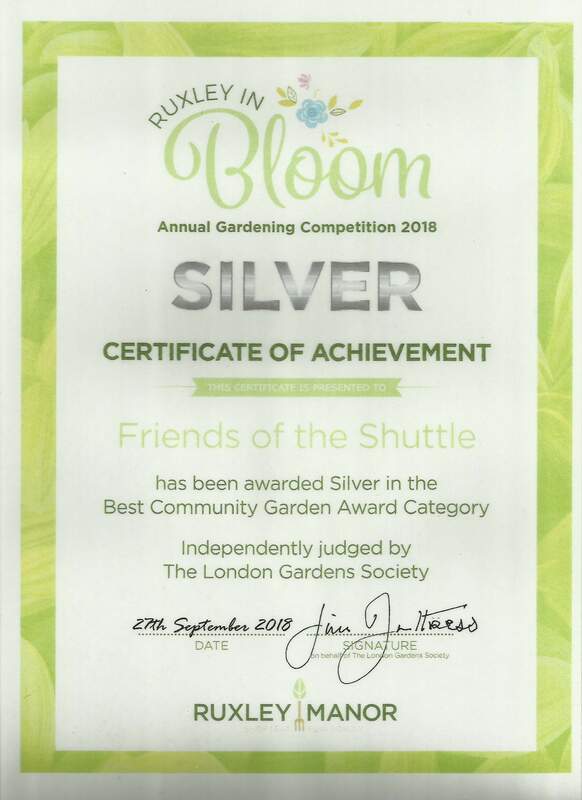 For the first time the group also entered the Ruxley in Bloom competition and were awarded a Silver Certificate of Achievement in the Best Community garden Award Category. The gardeners are very proud and pleased that their hard work has paid off!